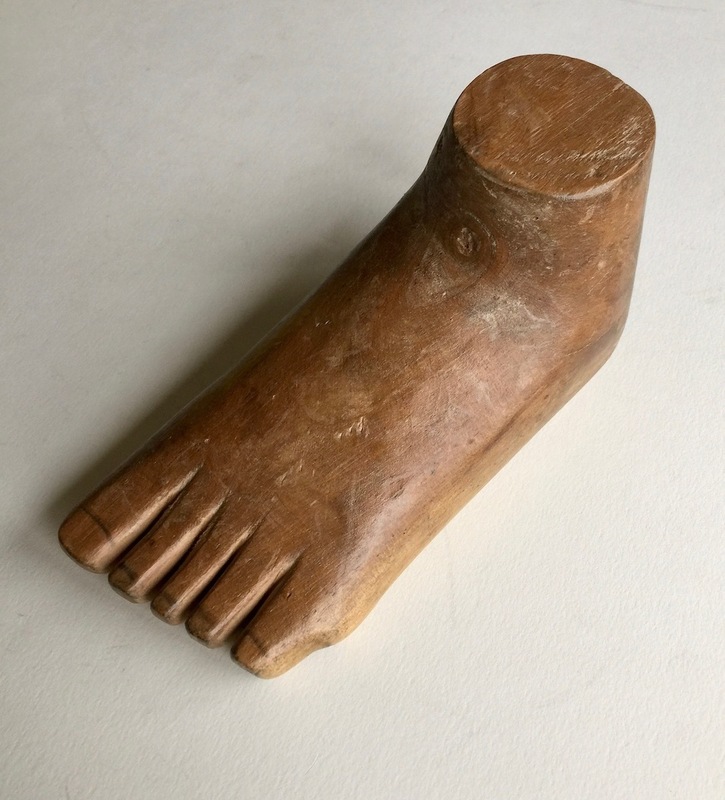 This sculpture likely represents a child suffering from polio, once a wide-spread disease in rural Brazil. 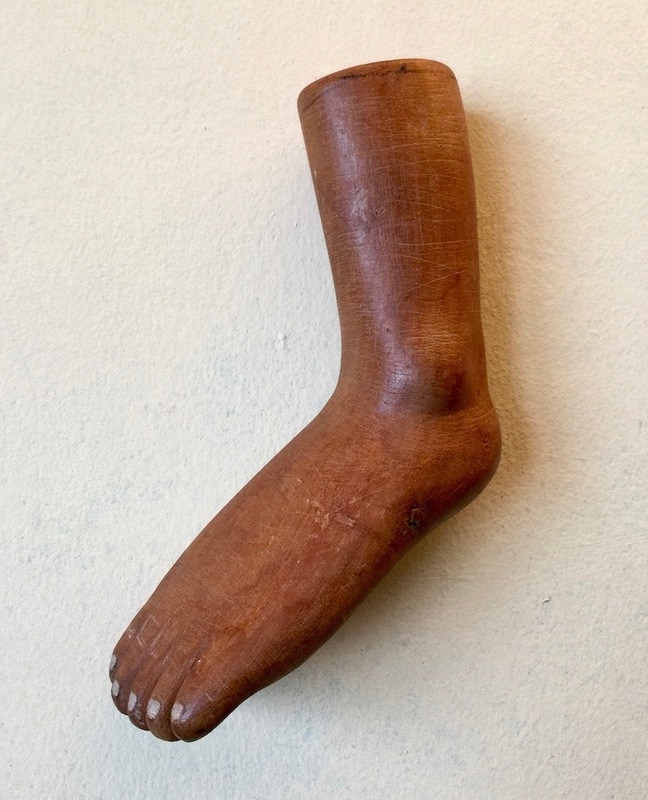 The black boots suggest the support boots and braces typically worn by polio sufferers in the first half of the 19th century. 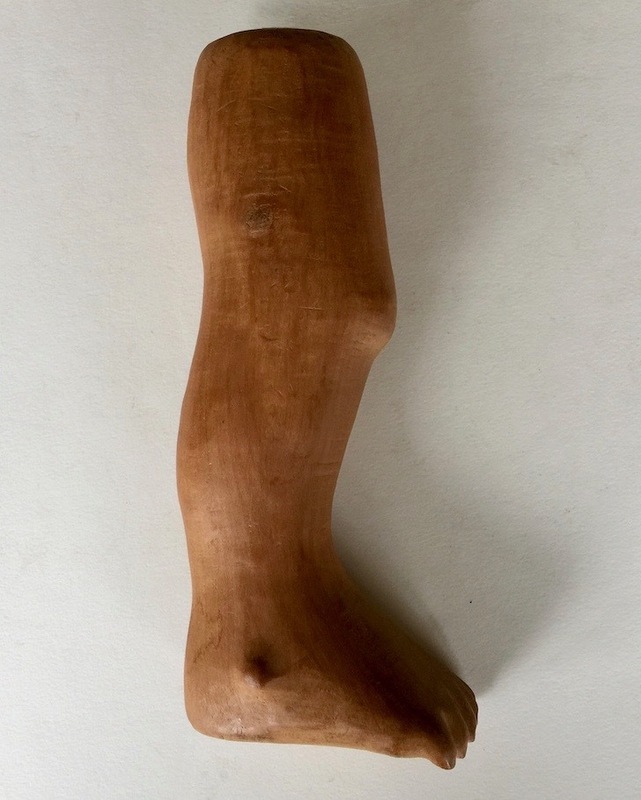 A Brazilian ex-voto depicting a body part can stand in for the entire person. 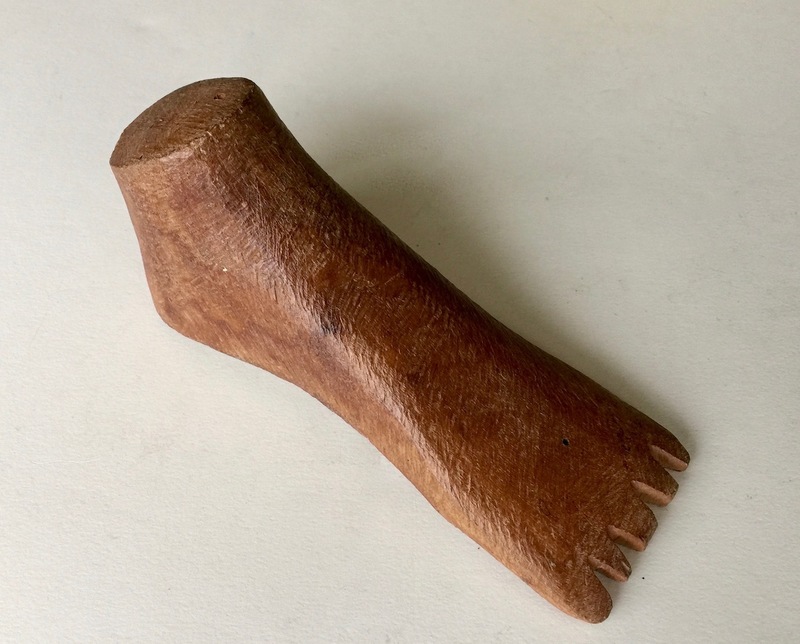 This beautiful piece, a baby's leg, may express the believer's gratitude for the birth of a child, or for a child's recovery from illness or injury. 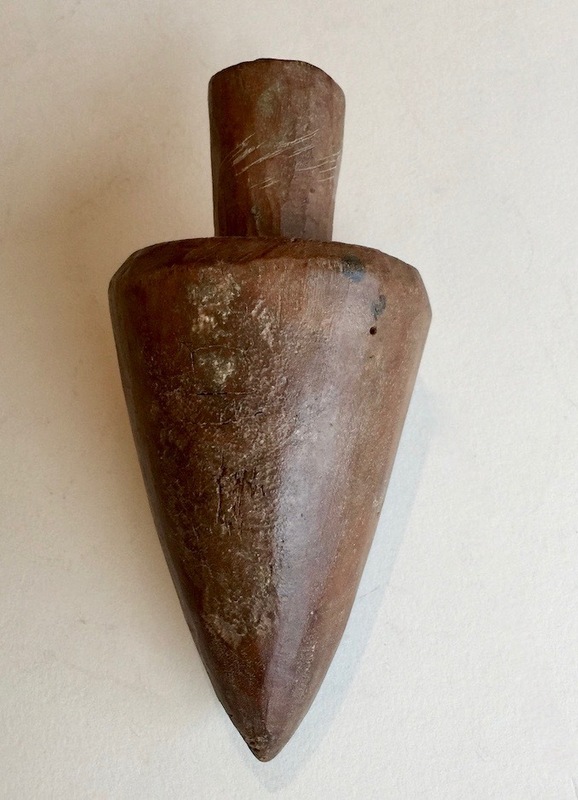 This museum-quality ex-voto shows evidence of a medical condition, in this case a tumor on the back of the hand. 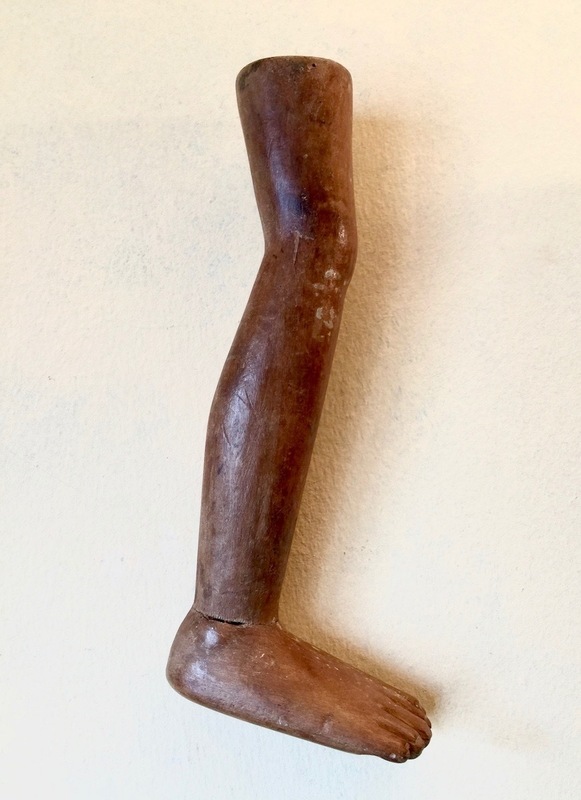 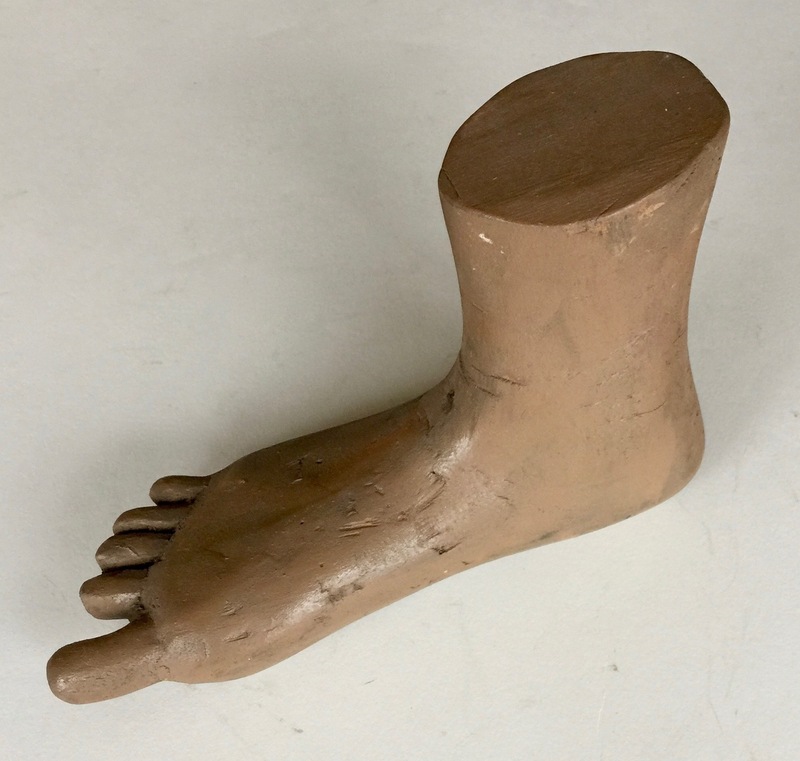 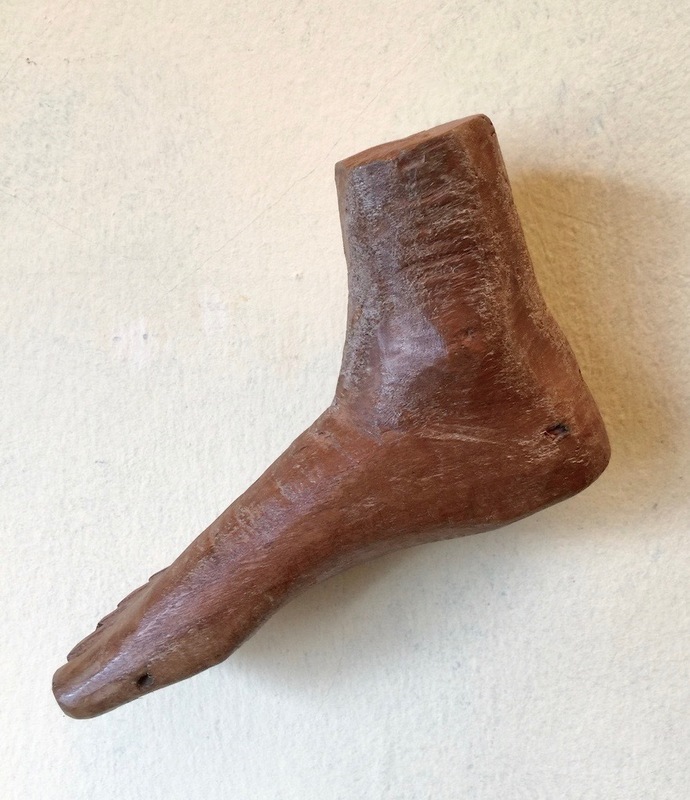 Lower leg with club foot: Like many Brazilian ex-votos, this piece shows evidence of an illness, injury, medical condition or intervention. 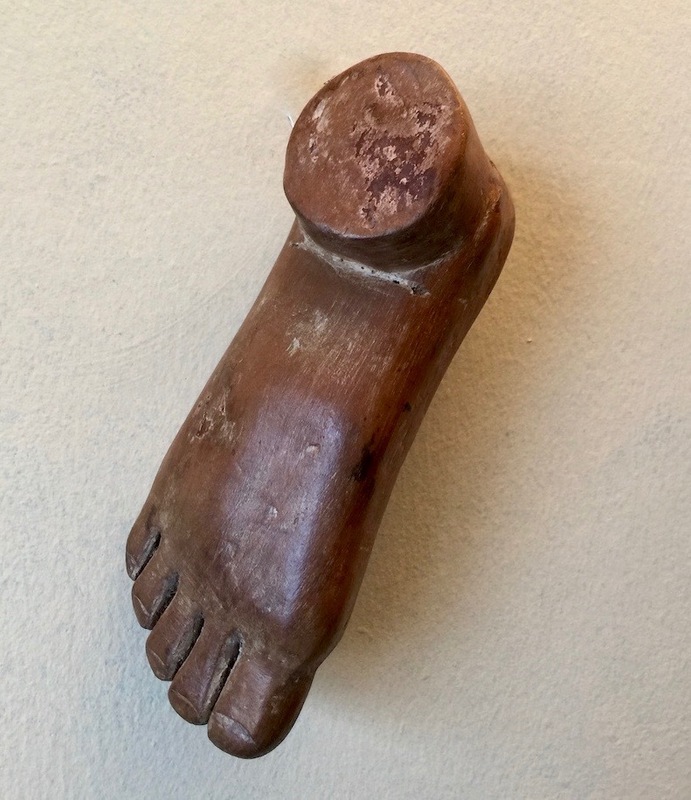 Ex-voto sculpture in Brazil is unique to the impoverished Northeast where many "Houses of Miracles" attached to churches contain countless pieces of wooden body parts (ex-votos), evidence of a miracle performed, like a cure for a disease or injury. 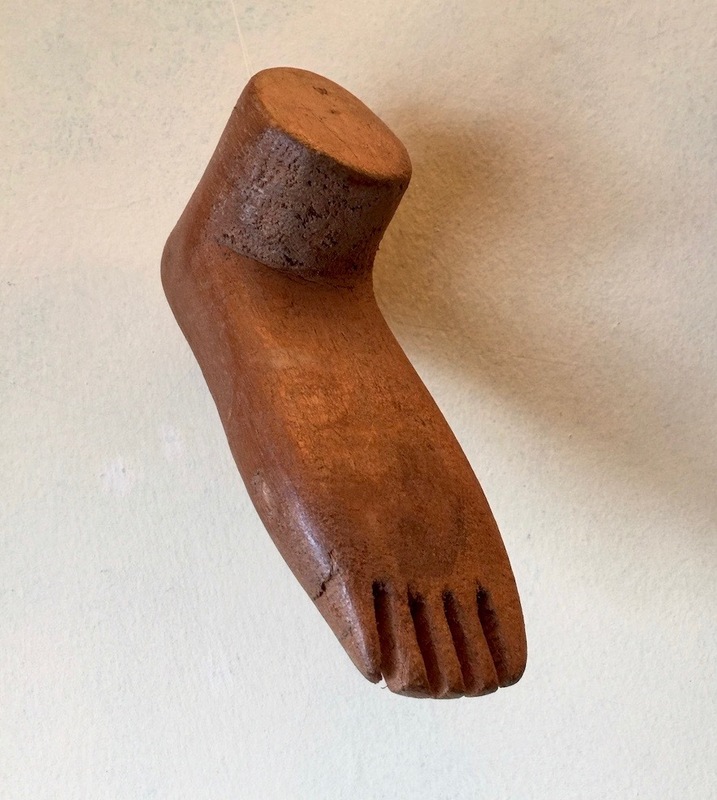 Our spectacular Brazilian ex-voto collection consists of over 200 unique pieces.